Earth and the core worlds are suffering. Overpopulation and lack of resources are leading to unrest and desperation. That's where you come in. 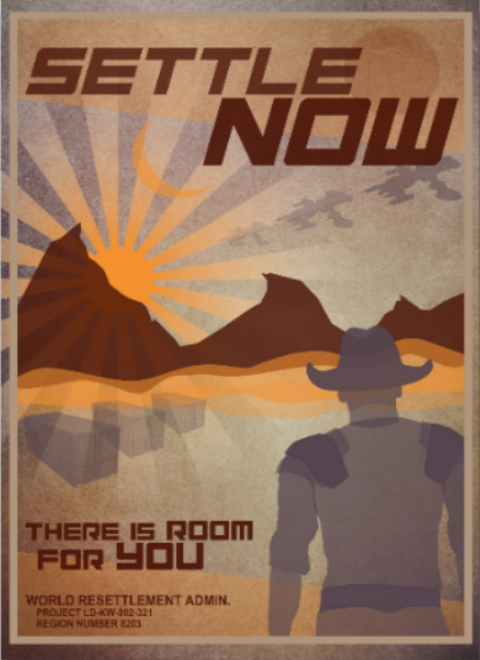 You've been recruited to colonize a planet more than 4 light years away. It's your job to save the human race from its own greed and consumption. The game is experienced from a top-down view allowing for the deliberate and creative customization of every item, vehicle, and structure in use. Using a scriptable and dynamic artificial intelligence the AI Overlord will change up every aspect of the game. Nothing stays the same forever, making Worlds an addictively, dynamic experience with limitless replayability. Procedural generation brings a kaleidoscope of biomes and creatures to life. Cars, planes, and all manner of cool stuff that moves can be built and used in combat…or daily survival. A top-down shooter delivers high-paced action mechanics for electrifying battles. An AI overlord (cue dramatic music) will inject fresh, new events into the world -- some welcome, some not so much -- based on your interactions. This could seriously become your new full-time job, and you’ll love every minute of it. Expansive construction system allows you to colonize in custom-built comfort. Make your equipment your own, from laser chain saws to custom built crystal focused projectiles, gear up the way you want on your own terms. taking on an extra-terrestrial world with nothing but guts, guile and a big gun on your back. The entire game will be created from the ground up with Modding in mind. Nothing like digging deep and trying to get people's support! Violent Sol is out on Kickstarter and even has IndieDB supporting it. We have a long way's to go to get funded though. Violent Sol Worlds is on Kickstarter starting August 18th. Come check out the rewards, stretch goals, and what we have to say about the whole thing. Are you guys using XNA Framework or MonoGame? Thanks, we are using MonoGame. @magicrat_larry -- your profile pictures looks like it'd be perfect on a black t-shirt. You should make that happen! Looking great so far! Is there any demo available to the public ? Not yet but we are working closer to a closed alpha test soon. I can't wait for the game to be available. I've been following for a while and the game is coming along very nicely. Keep up the good work! Glad you are on-board Adam!